As Halloween approaches and candy lands in the hands of youngsters by the bagful, there’s the slimmest of possibilities that some Hollywood producer will look at a Kit-Kat or a bag of Sour Patch Kids and think, “Hey, this should be a movie!” Think I’m crazy? Well it’s happened already and it actually worked out pretty well for Disney. As the story goes, Disney CEO Michael Eisner found inspiration for an animated show when his young son asked for a particular type of candy. The show went on to become Disney’s earliest successful animated series with a six-season run and 65 airings comprising some 95 episodes! Find out why this should be revisited after the jump. Hollywood! Adapt this: Disney’s Adventures of the Gummi Bears. Today’s installment of “Hollywood! Adapt This” will be a project skewed toward kids and candy; quite appropriate for the upcoming holiday, I think. 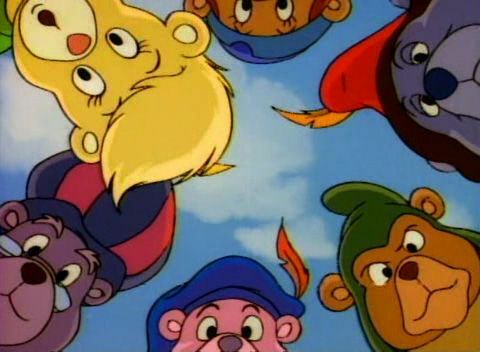 The animated Gummi Bears series that originally ran from 1985 to 1991 is certainly a fan-favorite and boasts possibly the most recognizable theme song in cartoons of that era (I’d wager it’s playing in your head right now). It was Disney’s first foray into animated series territory, running back-to-back with The Wuzzles which ran for only 13 episodes. 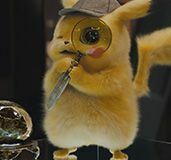 The studio’s early success paved the way for other franchises such as DuckTales, Darkwing Duck, Gargoyles, Chip n’ Dale’s Rescue Rangers and more. So what could a show inspired by gummy sugary treats possibly be about? 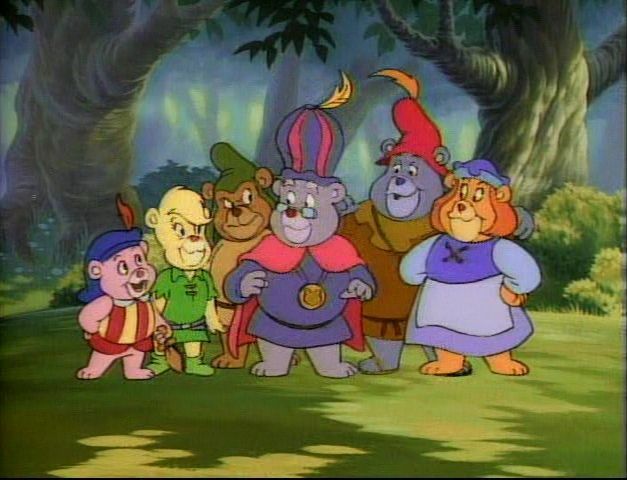 Disney’s Adventures of the Gummi Bears centered on the eponymous critters, six anthropomorphic bears that lived beneath a hollow tree in a subterranean warren in Gummi Glen, set in the medieval kingdom of Dunwyn. They were the last remnants of a once great Gummi civilization that had been driven out of their homeland by humans who were jealous of their technological advancements and magical abilities. The Gummi Bears, long thought to be creatures of myth by the humans of Dunwyn, were discovered when a young boy named Cavin accidentally stumbled into their underground labyrinth. Their meeting is fortuitous because Cavin possesses a Gummi medallion which unlocks the Great Book of Gummi, a historical reference tome that holds the secrets of the ancient Gummis. Other than the internal bickering of the Gummi Glen family, series conflicts arise from outside threats. Most notable of these threats is Duke Igthorn, once a great knight of Dunwyn now exiled for conspiring against King Gregor. 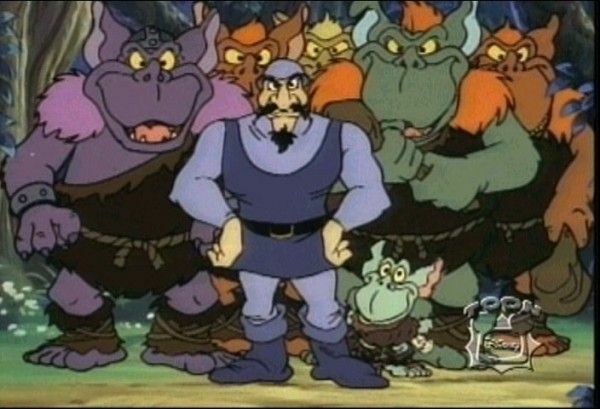 He lords over Castle Drekmore with an army of ogres and schemes to steal the Gummis’ magic and technology to conquer Castle Dunwyn and rule the entire kingdom. He’s accompanied in his nefarious attempts by his lieutenant Toadwart, the smallest ogre in the land. A synopsis of Gummi Bears is not complete without a discussion of Gummibeary Juice. Although this convention tends to overshadow the solid sword-and-sorcery plots of the series, it’s an essential ingredient to each episode as Igthorn seeks to obtain it for his own schemes and the Gummis use it to escape or fight back. A fair amount of time is spent by the bears collecting Gummiberries, but only Grammi and Sunni know the secret recipe. Consuming the juice allows the Gummis to bounce to incredible heights for a short amount of time, but also grants super strength to ogres and humans. On the marketing side of things, this one is a no-brainer. 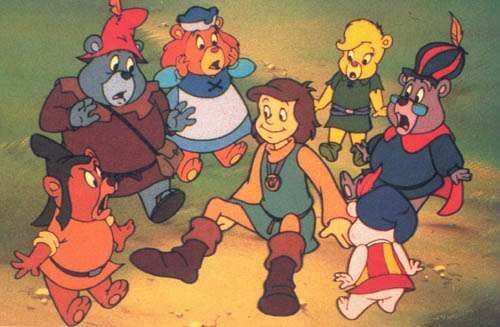 Gummi Bears was an incredibly successful show when it originally aired, even landing theatrical releases in the UK for the episodes episodes A New Beginning and Faster Than a Speeding Tummi. The human characters gained enough popularity to be turned into greeters at Disney theme parks, along with the expected supply of stuffed animals and re-branded candies. 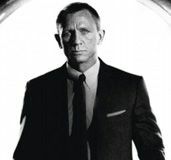 Though the series has been in syndication for a number of years, I posit that it’s time for a fresh approach. Much like Sony and Columbia Pictures’ The Smurfs (which netted over half-a-billion dollars globally), Gummi Bears could easily be re-imagined as a blend of CG animation and live-action on screen. In fact, the storyline actually calls for this organically rather than shoehorning live-action characters into the mix like The Smurfs did. Audiences, especially kids, can find some common ground in the human characters of the squire Cavin and Princess Calla while booing the vile Duke Igthorn. But rather than just push sugary sweets on kids, a rebooted series and/or movie adaptation could reinforce the good old-fashioned morals that the original used to live by. Gummi Bears hit on a number of themes that are essential in forming young minds on their way to becoming respectful members of society. The show featured episodes that centered on the acceptance of others (especially those who are different from you), the benefit of teamwork and the strength of friendship. They also warned against the dangers of pride, greed and prejudice among others. An intrepid creative team could (and should) even use the property as a platform for encouraging exercise and healthy eating habits; slap a healthy juice drink into kids’ hands and tell them it’s Gummiberry Juice and I guarantee they’ll bounce around until they puke. 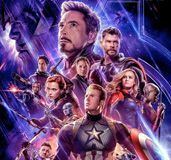 Rather than be a simple reboot of a successful franchise and a quick money-grab, use it to re-educate a whole new generation of kids on the basic foundations of decency and the importance of taking care of themselves. Get caught up on our previous suggestions for “Hollywood! Adapt This” and be sure to tune in again next week for another installment. We’ll continue our Halloween theme by gathering around the campfire at the witching hour to submit a tale for approval by the Midnight Society. Limited Paper: The Winner of Our CREATURE FROM THE BLACK LAGOON Giveaway...Revealed!